Moscow is growing impatient with US and NATO over what it says are "inadequate" methods for dealing with Afghanistan's verdant poppy fields. Citing Russia’s “goodwill” decision to open an air and rail corridor over its territory for the transit of NATO cargo and personnel into Afghanistan, Viktor Ivanov, Russia’s Federal Drug Control Service Director, said that Russia “has not received an appropriate reaction from NATO” in return when it comes to combating heroin production. "Why has the Russian government's good-will decision to make a corridor available for the transportation of personnel and NATO civilian cargo by rail and air from Europe to Afghanistan not received an appropriate reaction from NATO,” Ivanov asked during a visit with his Italian counterparts in Rome. Ivanov added that NATO is responsible for controlling the heroin situation in the country. Russia, which has witnessed a dramatic surge in heroin-related deaths since US forces opened military operations in Afghanistan almost 10 years ago, has repeatedly requested that the fight against opium producers be given top priority. 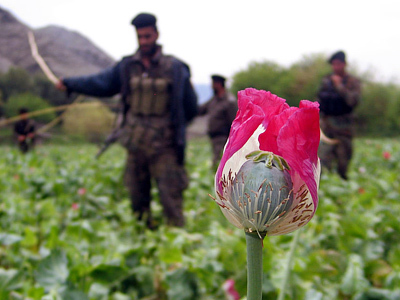 In October, Ivanov told the Carnegie Moscow Center that although the amount of opium harvested in 2010 was half of the amount produced the previous year, it is still twenty times higher than it was in 2001 under the Taliban. He attributed last year’s decline in production to “climate factors” and opium crop disease rather than eradication efforts. He based his conclusion on the fact that the number of acres planted—123,000 acres—had not changed since the previous year. Russia has long advocated the use of defoliants, sprayed on poppy fields via aircraft, as a means of eliminating the problem, but for various reasons – none of them acceptable to the Russian side – these plans have not been put into motion. According to the Federal Drug Control Services, an estimated 711 tons of heroin are consumed annually in Europe, 549 tons in Russia, and 212 tons in North America. Meanwhile, unprecedentedly high consumption levels are taking an enormous toll: an estimated 100,000 people die annually as a result of consuming Afghan opiates. These figures indicate that an estimated 1 million opiate-related deaths have occurred worldwide since 2000. In light of these disturbing statistics, it is understandable why Moscow wants more cooperation on the opium front in return for allowing US and NATO non-military flights to access Russian airspace en route to Afghanistan. Last week, Russian Foreign Minister Sergei Lavrov and Italian Defence Minister Ignazio La Russa signed an inter-governmental agreement on air transit of arms, ammunition, military hardware, property and personnel via Russia. Italy is a participant in the international reconstruction efforts in Afghanistan. The signing ceremony was as part of Russian President Dmitry Medvedev’s visit to Italy. “The Rome agreement mandates that Russian airspace – the so-called “northern corridor” – that passes through Slovenia, Croatia, Hungary, Ukraine, Kazakhstan, Uzbekistan, and Turkmenistan, will be used to transport material and logistical support to the Italian contingent in Afghanistan and serves as an alternative to the air route through the United Arab Emirates,” the Italian Foreign Ministry said in a statement. Russia has expressed its frustration with US-NATO efforts in Afghanistan, where heroin production has exploded by 40 times since the Enduring Freedom operation was launched on October 2, 2001, the Director of Russia’s Federal Drug Control Services said. He then ridiculed the coalition member states for giving their citizens 5,000 tons of heroin in return for their taxes. 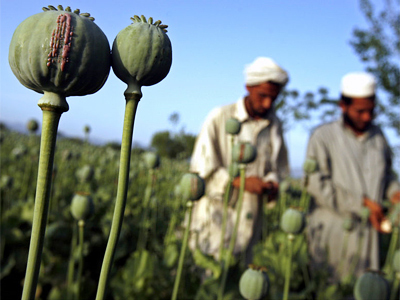 It has been estimated that over 90 percent of global heroin production derives from Afghanistan. 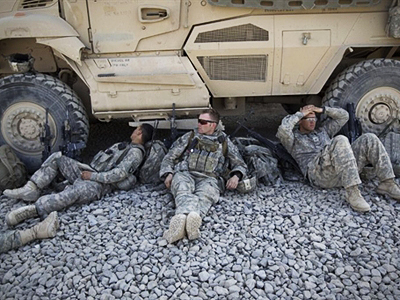 The Helmand province alone is said to produce 60 percent of the total. Ivanov then blasted US-NATO once again, saying that the end product of 10 years of fighting in Afghanistan has resulted in a “boomerang effect on health and public order” not just in Russia, but across Europe as well, where drug addiction is soaring. 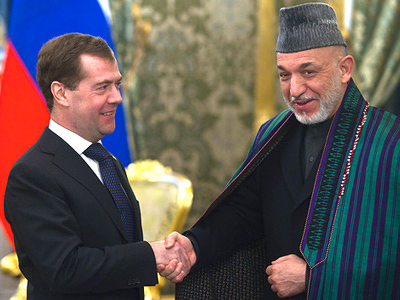 "The key essential result of the past decade is that the entire Afghan territory controlled by the NATO-led International Security Assistance Force (IFOR) has produced enormous quantities of drugs worth a total of $1 trillion, an indisputable fact," Ivanov said. "The inadequacy of the international community's efforts in Afghanistan… has had a boomerang effect on health and public order in Europe,” he continued. “The international medical prescription for Afghanistan has produced an opposite effect in the form of large-scale drug production. Given Russia’s dire demographic situation, there is little time left for eliminating Afghanistan’s poppy production.